All stories from 'Futures Unlimited' by Alden H. Norton. • Haschisch-Trip is copyrighted 1945 to All Fiction Field, Inc. • Tyrannenmord is stated with original title Exil of the Eons copyrighted 1950 to Fictioneers, Inc.. • Drei Zeilen Altfranzösisch is copyrighted 1950 to Recreational Reading, Inc. The translations by Rudolf Mühlstrasser are copyrighted 1974 to the publisher. 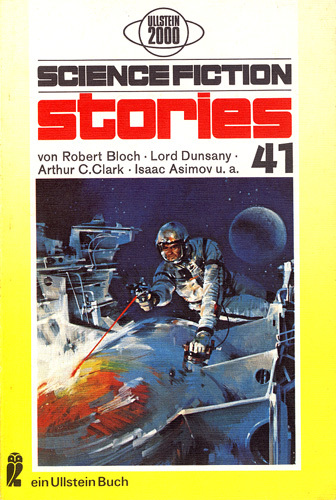 Cover illustration credited to Berkey/DELL/Roehling.